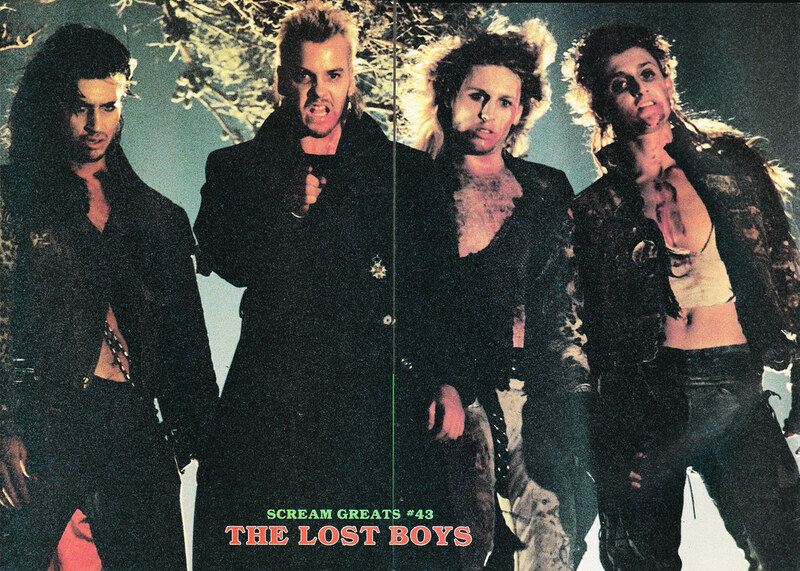 Here’s Fangoria‘s Scream Greats Poster #43 featuring an image from one of my favorite vampire movies, The Lost Boys. This poster was from Fangoria #68 (1987). Click to see it BIGGER on Flickr. This entry was posted on October 21, 2014 at 8:00 am and is filed under Fangoria, Genres, horror, magazine, monsters, movies, nostalgia, pop culture, zombies with tags AWESOME-tober-fest, AWESOME-tober-fest 2014, Fangoria, Halloween, holiday, magazine, magazines, monsters, movies, zombies. You can follow any responses to this entry through the RSS 2.0 feed. You can skip to the end and leave a response. Pinging is currently not allowed.